We’re headed to San Diego for the largest annual electric power transmission and distribution conference & exhibition, connecting the global smart utility community and technology leaders on all things energy. Here, attendees get a personalized look at the latest technologies used to move electricity from the power plant or distributed sources through the transmission and distribution systems to the meter and inside the home. Bringing together more than 12,000 people from over 78 countries, DistribuTECH offers industry professionals from utilities and technology companies the opportunities to network and discuss from grid optimization, renewable energy, energy storage, smart metering, smart cities, smart homes, smart buildings, data management, analytics and IoT, cyber security and more. One of the hot topics this year is how to deal with the growing number of distributed energy resources (DERs), including distributed generation, distributed storage, electric vehicles, demand response, and ever-growing microgrids. Some fear the energy grid is expanding faster than today’s control methods and tools can handle, so we’re addressing those concerns with solutions that lead to increased grid stability and reliability. Join us as we show examples of IoT-based smart edge devices that can monitor voltage and produce power quality data by collecting, digitizing, and reporting metrology data using high performance utility networks. Ensuring field workers have the right information at the right time is no longer a nice to have, it’s a must have. Connected wearable technologies are minimizing the non-value-added movement of people by providing relevant and actionable data to workers at the right time to avoid safety hazards and improve efficiency. As electric utility companies begin collecting more and more data from the grid, they need to understand which data is relevant, what to store, and what to ignore. Using its extensive experience in getting more value from data, SAS integrates streaming data with predictive analytics and visualization to help generate useful insights and improve decision making. With the increase in variable DERs, it’s more challenging for substations to deliver sinusoidal and predictable steady-state voltage and current. Utility companies rely on substation metering of secondary voltage and current transformer circuits to detect performance issues, which can be done with a SystemCORP and Intel-developed IEC 61850-compliant merging unit solution. Intel products are powering some of the most advanced technologies that provide situational awareness of grid performance, and two are on display at DistribuTECH. Spirae, a leading provider of DERMS and Microgrid control, offers innovative tools for integrating and actively managing DERs in terms of power, energy flow, and ancillary services, thereby maximizing their value to the grid and other parties. National Instruments delivers monitoring and predictive maintenance solutions for pumps and generation transformers that demonstrably reduce risk and cost. Intel has worked with a number of vendors who offer the robust and hardened IoT gateways shown in this demo. 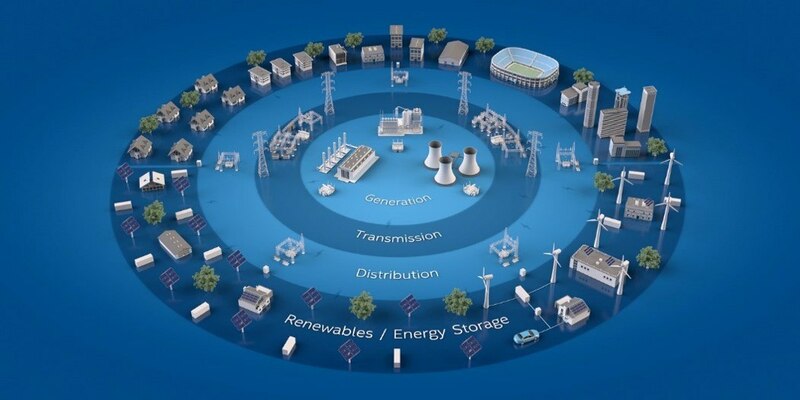 The gateways are available to help OEMs and SIs accelerate the delivery of solutions in the energy industry, particularly with respect to distribution grid management systems. Examples include devices from AAEON, Advantech, Dell, and NEXCOM. With the help of IoT technologies, utilities can more easily participate in new market segments. One example is the offering from Alarm.com that integrates all mission critical systems in the home into a single service. Another opportunity is to create smart building management solutions for small and mid-size buildings using the Intel® Building Management Platform integrated with CANDI PowerTools. Visit the Intel team at booth #1323 to learn how IoT solutions based on Intel technology can help utilities, OEMs, ODMs, and SIs better manage DERs, as well as smart home and smart building business opportunities. While you’re here, grab a scoop of ice cream and cool your heels before heading back out on the floor. We’re looking forward to seeing you in San Diego. Follow us on Twitter at @GridInsights for hourly updates. Questions? What are you most looking forward to seeing during this year’s conference?